When I first started looking into more natural beauty products in 2016, I started at the top. My head, to be specific, and began looking for more natural options for shampoo and conditioner. The smallest bit of reading about all the stuff you don't want to find in your shampoo, conditioner, face wash, or makeup showed me pretty quickly that, among other things in my bathroom, my shampoo needed to go. Unlike options for more natural cosmetics, I didn't quite know where to start when it came to natural hair care products. After all, everyone's hair is so different and what works well for one person may not work well for another — and not just because you have different hair colors. During a trip to Target, I spotted shampoo and conditioner from a natural beauty care line, so I picked it up. Within a month, I tossed the bottles with nearly 3/4 left because my hair felt disgusting. Not "I'm transitioning to a new shampoo and it's going to take time" disgusting, like it wasn't getting clean at all disgusting. I went to social media next and asked some people I knew who had been on the natural beauty care train for a bit longer than I had for their recommendations. From there, I tried another brand that I actually really loved. The bottles were smaller and more expensive than my old shampoo, but they seemed to be doing the trick and my hair smelled amazing. Then I went to my hair dresser. She asked what shampoo I was using because, it turns out, a film had been growing on my hair since it wasn't getting properly cleaned. I know... super gross. While I was finding and falling in love with natural cosmetics companies, I had all but given up on finding a natural shampoo that would actually clean my hair well, which is why I was so pleased when I learned about Maple Holistics and their line of natural hair care products. Maple Holistics is a US based natural beauty brand. All of their products are made in the USA, all natural, cruelty free, sulfate free, and safe for colored hair. Their aim is "to provide a natural, holistic range of premium products which can enhance hygiene, health and daily living." As someone with fine, relatively oily hair, I decided to give their Degrease shampoo a shot and see if I could end my search for a natural shampoo. Fast Acting — When shifting to a new shampoo, it typically takes a week or so for my hair to adjust. With Maple Holistics Degrease shampoo, it only took about three days for me to really notice a difference. 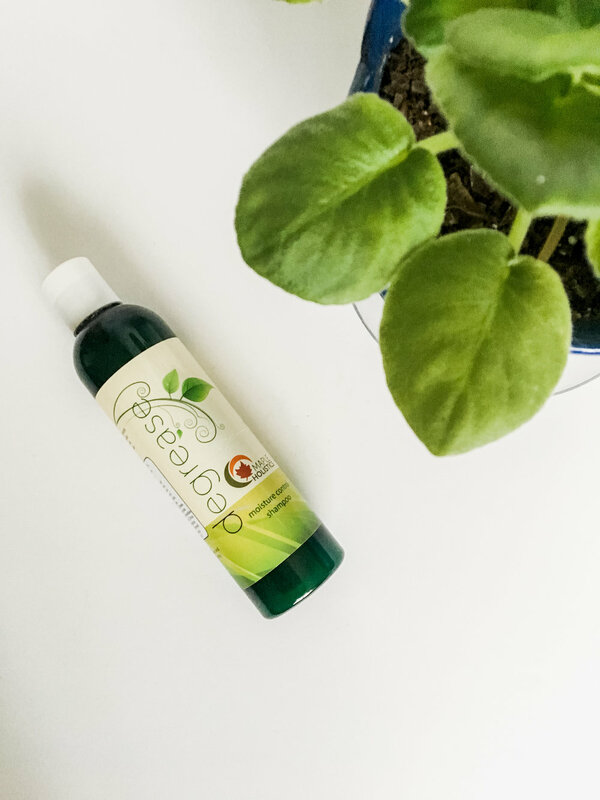 Great Clean — It cleans my hair exceptionally well in comparison to all the other natural shampoos I've tried and after those initial couple of days, I never once felt like my hair was greasy or icky feeling. Long Lasting — Because of the fine nature of my hair and its being prone to oil, I have to wash my hair every single day or it starts looking and feeling not so great. While I still don't feel like I could quite make it a full two days without having to pull my hair up, the Maple Holistics did give me a solid day and a half of that wonderful clean feeling before I started to notice it getting oily again. Scent — The biggest con for me is the scent, which I was not a fan of. It's got a slight citrus-y scent, which was a little strong for me. On the plus side, the scent isn't so strong that it lingers in your hair afterwards, so you just have to deal with it when actually washing. Overall, Maple Holistics Degrease shampoo has provided the best clean of any natural shampoo options I've tried thus far. While I haven't been back to my hair dresser yet for the official thumbs up, it's safe to say this provides a wonderful, lasting clean without all the chemicals and nastiness that come in many traditional shampoos and conditioners. To purchase Maple Holistics Degrease shampoo and give it a try yourself, click here. If you're a little on the fence and want to try out their Degrease shampoo or any of their other hair or skin care products, check out their free samples program that allows you to give any of their products a try before committing to a full-size one. Disclaimer: I received a free bottle of Maple Holistics Degrease shampoo in exchange for an honest review. All opinions are my own. If your house is anything like mine was growing up, Christmas lists were sent out weeks ago and the shopping season is in full swing. As we step into the most consumerist season of the year, it can feel awkward and uncomfortable to give out gift lists to your family when you've shifted your focus away from material possessions. Similarly, it can be difficult as a family member to know what to get for someone you care about who has potentially spent many months out of the year focusing on minimizing and decluttering. It's a whole new spin on the person who has everything — what do you get for the person who doesn't need anything? In the same way that minimalism represents a shift in thinking, gift giving for or to a minimalist requires a shift in thinking about what an "acceptable" gift is. To get you started, as a minimalist making a list or the loved one of a minimalist looking for some guidance, here are a few gift ideas for a minimalist. For me, gift giving has always been a representation of my relationship with the person. I hate giving off a list, because I want the gift to be something only I could give you. For this reason, things like gift cards always felt extremely impersonal to me. After all, anyone can buy a gift card for someone, so how would the person know I truly loved them if I got them a gift card? Or worse still, a cash or check gift? 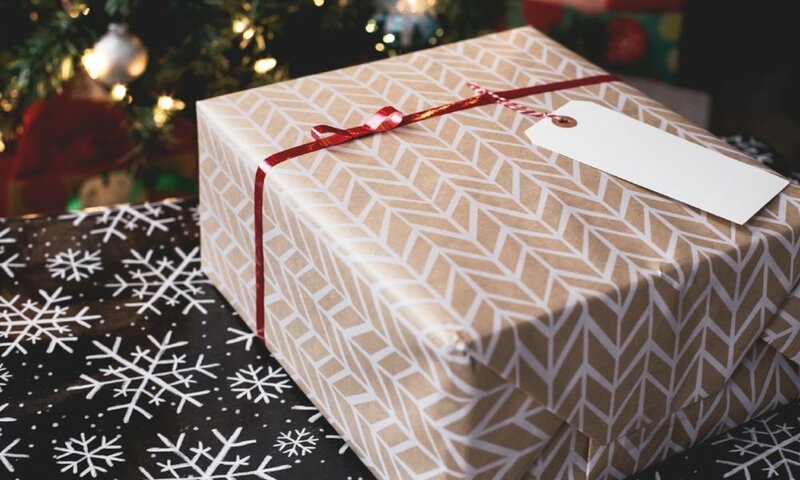 The reality is, for minimalists, this is a perfect option because gift cards and money can be used for a whole lot more than just a "traditional gift." For that person who just has to have their Starbucks in the morning or their Panera bagel, you can give them a gift card to one of these establishments. If you know they love a particular restaurant but rarely go there due to the expense, gift them a night out without having to worry about the bill. For college students or young professionals who are dealing with a limited budget, gift cards to the grocery store of their choice can be a fantastic option as well. The options are literally endless and where you give the gift card to can be just as personal as that super special gift that could only come from you. For myself and many other minimalists, giving back more is a current or long-term goal as we minimize and declutter our lives, so rather than adding another item to their home this Christmas, why not give the minimalist in your life the gift of giving back or ask your friends and family to do so? For those of you with friends and family who are minimalists, ask them which charities and organizations they would give to if they were able, or ones they'd eventually like to add to their list. Then make a donation to the organization in their name for the holiday season. If you're the minimalist giving out a list, list a few of the organizations you love and would like to give to, and any additional information that would be helpful for first-time givers. Many organizations even have special options during the holidays that allow you to purchase animals or specific supplies for families and communities that will have a tangible, long-term impact. My primary love language is quality time, which is part of why gifts off a list always felt impersonal to me. I've always felt that if I was spending enough time with you, I would know that "perfect gift" you'd always dreamed of. What I've learned more and more as I and the rest of my family has gotten older is that there is no greater gift than time. It is the only resource in our live that can never be renewed. When it's gone, it's gone and there's no getting it back. Life gets busy fast and it's easy to go weeks, months, or even years between seeing people, so often the best gift you can give them is your undivided attention (yes, that means putting the cell phone down), and this is one that can often be combined with another gift. That gift card to their favorite restaurant? Tell them it's an opportunity for the two of you to go out to dinner and catch up for a few hours. You could even give a voucher of sorts for an afternoon, an evening, a full day, whatever you feel fits the relationship. I guarantee the memories you'll create during the time you spend together will last far longer than any other gift you'd give them — on a list or not. Finally, my favorite of all the non-tangible gifts — experiences. I love experiential gifts because they create some incredible memories, and they're basically a combination of gift cards or money, time, and a personal knowledge of the person you're spending the experience with. Experiences can be as inexpensive as a couple of tickets to go see a movie or as extravagant as something like a Caribbean cruise. One of my favorites that I've gifted to multiple people in my life is going to see shows on Broadway. Theatre is one of my favorite things in the world and it's a love for many people in my life, so going to New York City together to see a show is a wonderful gift because we get to spend time together while traveling, we get to make memories running around the city, and also experience the beauty of live theatre. For me personally, few gifts are more wonderful. Think about the things you love, the things your loved one loves, the things you love to do together or things you just know they love, and the things that fall within your price range. Chances are whatever you come up with will be far more memorable than any trinket or random gift you'd otherwise give. I hope these categories have given you a few ideas for things to give the minimalist in your life or things to share with your friends and family when they inevitably ask for that gift list and will make this often stressful season a little less so. I used to be a chronic over packer. Four day trip? I'd bring enough clothing for a week...or two. Even though it was rare that I ever wore all the clothing I brought on a trip and there were even times where I wore less than half of what I packed, I almost always used the biggest bag possible and stuffed it to the brim. At the same time, any trips I took were filled with activity from the moment it began until the moment it ended. Even if I only had 12 hours in a place, I wanted to see and hear and do as much as possible, which often led to me being exhausted and burnt out after what was often supposed to be a vacation. Over the last few years as I've shifted to a more simplified way of living, my approach to traveling and packing has changed quite a bit, and I've learned a few things to pack a little lighter to make traveling a wonderful and stress free experience, rather than one filled with exhaustion and burnout. This may be the most obvious, but one of the easiest ways to relieve a little stress from any traveling experience is to pack your suitcase light. If it at all possible, fit everything you need in a carry-on suitcase and one personal bag. This eliminates the cost of checking a bag at the airport, the time waiting for it at the baggage claim, and the possibility of lost luggage. And if you're driving instead of flying, it saves space in your car and doesn't weigh it down as much, which increases your miles per gallon. You might be thinking that putting those kind of physical constraints on the stuff you bring would increase your stress because what if you forget something? Or what if you don't pack enough clothing for X, Y, or Z event? While you may think packing a smaller amount of clothing and other items gives you limitations when you're traveling, I've found the opposite to be true. Just like in life, where having fewer items in your closet reduces decision fatigue and helps you spend less time worrying about you're going to wear on a day-to-day basis, the same thing happens when you're traveling. Rather than agonizing over what outfit combination to wear on this day or that day, packing lighter (and having a loose plan for what you'll wear when) decreases the decision fatigue so you spend less time getting dressed each morning and more time enjoying your trip. Over the last few years, I've become quite the expert in day trips. I've explored Chicago, Charleston, New York City and more in less than 24 hours and other cities in only a couple of days. Any time you travel to somewhere new — or even somewhere familiar — there can be a temptation to see and hear and do as much as possible. You want to try all the restaurants, see all the sights, explore all of the places to make sure you don't miss a single thing. Because what if you never get to go back to the place again? What will you have missed out on? This fear of missing out plagues us all in nearly every aspect of our lives and travel is no different. But let me pose the question to you another way — what will you miss out on by filling your schedule to the brim, rushing from one activity or place to the next, and never allowing yourself to slow down and truly savor and appreciate the things you are doing, experiencing, and seeing? That's not to say that you shouldn't try to see a variety of things, particularly if you only have one day in a particular city or town, but just like it isn't healthy to pack your day-to-day schedule completely full, it's not healthy to pack a travel schedule completely full either. Particularly if it's a more extended trip, after a few days of GO GO GO, you'll be exhausted and burnt out, which will prevent you from truly appreciating all the new things you're getting to see and experience. Instead, create a list full of recommendations, and designate a few "must do" things, and leave some margin. 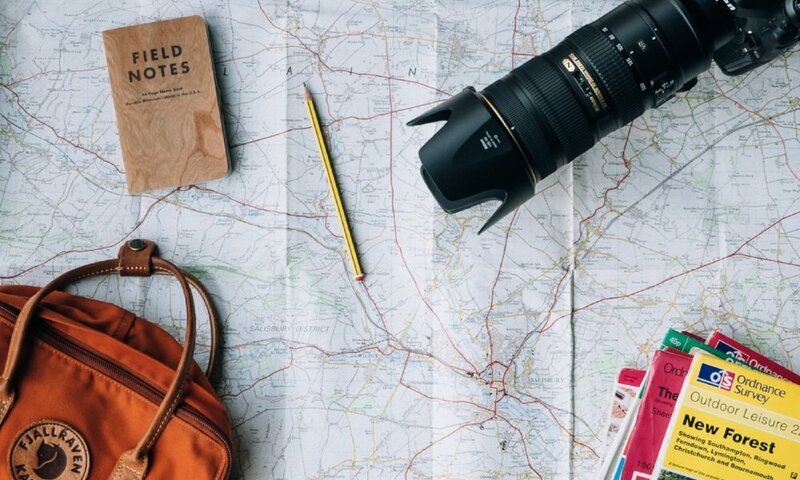 Your "must dos" could be anywhere from one or two to half a dozen or more, depending on the length of time you're spending on your trip. Focus your time and attention on those things, truly savoring them and delighting in the experience. If you have extra time and energy to see more things, by all means, go ahead and do it! Either way, you'll be able to really enjoy the things you get to do, rather than only having mediocre or even bad memories of moments that were rushed through. Beyond issues with overpacking my suitcase and my schedule, by far the thing that can ruin a trip the most is overpacking my expectations. I've traveled a lot in my 28 years of life — four different continents, 13 different countries, and (soon-to-be) 49 different states. If you've traveled even a small amount, you've probably learned it's not uncommon for things to go wrong on a trip — especially if it's international. This summer I went to Trinidad with a group from my church and while we didn't have any issues during our travel or time there, getting back was another story. A mechanical issue with our plane led to a 35-hour delay leaving the country, followed by a 13-hour layover, and an extra hour waiting for our bags due to weather issues at our destination. When all was said and done, we got home nearly 48 hours after we were originally scheduled to. I've had trips where we took off when we were scheduled to land, planes arriving in the wee hours of the morning instead of at a time when most people are awake, and flat tires or ridiculous traffic costing us hours on the road. And that doesn't even account for potential problems occurring during the trip itself — that's just the getting to and from! There tend to be two kinds of travelers and how they react to these kinds of unexpected problems and delays speak to how light or heavy they've packed their expectations. Some get angry and stressed and take it out on everyone around them, even people who had nothing to do with the problem and can't fix it, while others simply go with the flow. Nothing will make or break a trip more than overpacking your expectations for it. Travel, particularly overseas, is inherently unpredictable. After all, there's a reason we call them adventures. Plans change, flights get delayed, and downpours can show up out of nowhere. Expect nothing more of your trip than to have a good time and make some wonderful memories. Those flight delays and out-of-nowhere downpours may not be ideal in the moment, but they can make for some really great stories in the long run. And isn't that why we travel in the first place? To experience the new and unexpected and fill our lives with a little more adventure?